The TNEF Parser plugins handles TNEF attachments from Outlook. 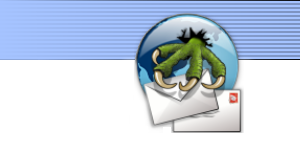 TNEF attachments have a MIME type of "application/ms-tnef" and are often named "winmail.dat". They can contain multiple files. This plugin parses this kind of attachment and displays the real files in the parts list. An email with a TNEF attachment, without TNEF Parser. The same email after TNEF Parser has been loaded.